In the past, when patients needed hospitalization, their family doctor would refer them to the neighborhood nursing home , which was managed by a specialist who would provide care which was cost effective and affordable . For more serious problems, he would refer patients to a government or municipal hospital. In those days, there were no large corporate hospitals, and the care which patients received was personalized. Today, however, the scenario has changed completely. There are lots of five-star super deluxe specialty care hospitals coming up all over the country . These are extremely profitable ventures, and lots of corporate are now pouring money into these. They are marketed and branded very cleverly and because they are large sprawling structures , with the latest medical technology and lab equipment, with large teams of medical specialists manning them 24/7. This means that today patients are presented with a dilemma if they need hospitalization. Should they go to the spanking brand-new , state of the art hospital, or should they stick with the local nursing home. don’t need to travel long distances . It’s also a lot cheaper, because they do not have to pay the overheads for the unnecessary trappings which super specialty hospitals are fitted with. However, the problem is that nursing homes vary widely in quality. While some are excellent, others can be death traps, because they are so poorly equipped and badly staffed. This is why patients often prefer large hospitals , without understanding the hazards associated with these. 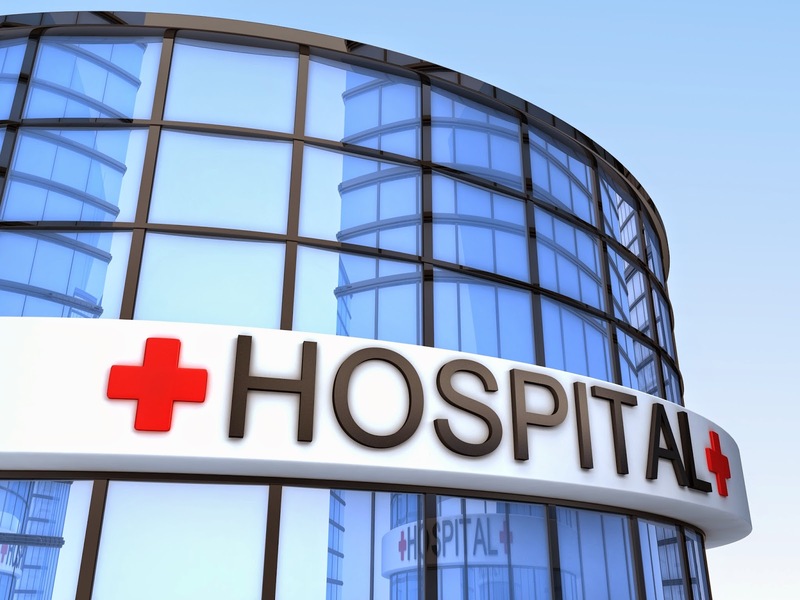 While large hospitals look very impressive and imposing, the sad truth that the care they provide can be pathetic – something to which even the doctors who work in the hospital will testify to ! The truth is that while patients are awed by the dazzling equipment and technology available in the new hospitals, the truth is that most of them will never need these. The danger is that once this equipment has been bought, the hospital has to justify the expenditure, which means the doctors are often forced to refer patients for unnecessary scans and tests, to generate income for the hospital. Thus, just because the hospital has invested crores of rupees on a robotic surgery device, their surgeons are now forced to use these. While surgeons are happy to play with these new gee-whiz toys, the truth is that they only add to the expense of the operation – without adding any value whatsoever to healing and recovery. It’s the poor patient ( or his health insurer) who is forced to foot the bills. Sadly, patients aren’t even aware that they are being subjected to avoidable procedures and treatments, which only help the hospital’s bottom line – not their care. However, it’s become a very competitive game, and hospitals spends large amounts of money in a one-upmanship game, to try to convince patients why they are better than the others. Patients are not sophisticated enough to be able to separate the wheat from the chaff, and most just accept whatever their doctor tells them as being gospel truth, without knowing that their doctor is pressurized by the hospital management to bring a certain amount of moolah on a regular basis, in order to meet the targets they set. While patients may feel very safe in these hospitals , because they have so much equipment , the care they provide is often extremely impersonal . Patients are often treated as numbers , and there is little continuity of care . It’s very hard to get hold of the Doctor when they want to talk to him, as a result of which many patients are extremely dissatisfied with the services these hospitals provide. However, they are so worried that their local nursing home is not adequately equipped to handle complications, in case these arise, that they prefer the sense of security which large hospitals provide. They are willing to pay the additional premium these hospital charge, because of the trust and confidence which they inspire, thanks to their ambience and façade. However, this trust is misplaced , and that a lot of medical care would be much better provided in small nursing homes , provided these are managed properly. The trick is that you need to choose between a hospital or a nursing home based on what kind of problem you have . The best model is a blended one, where simple surgical and medical problems are handled in small nursing homes , because these are much more cost-effective . Only the more complicated problems needed to be referred to specialty hospitals . This is the way things would work in an ideal world. However, because both specialty hospitals and nursing homes compete for the same set of patients, and because corporate hospitals have so much more clout , the nursing homes are gradually being squeezed out of existence. This is bad for all of us, as medical care delivered in these corporate hospitals will continue becoming more expensive as time goes by.